Real user measurement (RUM) is a type of passive monitoring that ‘listens’ to events as users navigate through your site, but how does it work and what can it tell you? Lots of good insights here. A Docker-based, customizable site metrics dashboard system. You run three Docker images, one with Graphite, one with Grafana, and one with Sitespeed itself. The Internet landscape in China can be difficult to navigate and providing your users a solid experience is a major feat for most companies. 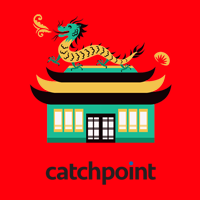 Catchpoint and ChinaCache have partnered for this month’s OpsCast, a monthly webinar dedicated to web performance, to demonstrate how you can avoid the obstacles your site faces in China in order to ensure optimal performance. Delivering Great User Experiences in China will give you the tools you need to build effective performance strategies, like using monitoring to combat issues such as slow page speed. Register today! Answer the most questions in the quickest time to win. It’s pretty hard. Twenty web performance related questions in under a minute. The PageSpeed Service helped your sites load more quickly by providing a proxy that automatically applied performance improvements. We are looking for an experienced Site Reliability Engineer to join the world’s largest hotel search and ensure a reliable, fault-tolerant production environment. If PHP is your mother tongue language, we should talk. Nothing exciting but worth knowing about if you see it in your logs. Ever use curl? Its creators want to ask you some questions to help them continue work on it. The interesting part is that after 48 hours of throwing random data at nginx, there have been no crashes.